The “hottest” system in Epoxy Flooring right now! 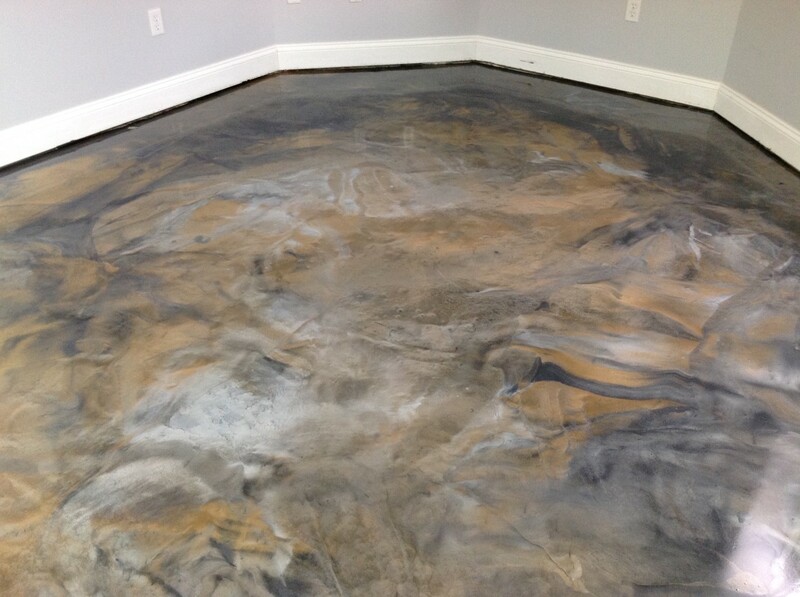 Metal Illusion Epoxy Flooring is interior only right now. It is easy in install and the looks are gorgeous. Metal Illusion Epoxy Flooring is durable and has very low maintenance. You will fall in love with the looks whether you are an installer or the very lucky end user. iCOAT’s New Metal Illusion Flooring System has revolutionized the metallic epoxy flooring market. iCOAT has developed a thin mil epoxy that has exceptional leveling properties and with the addition of SuperStains pigments can be done in a myriad of colors. Metal Illusion floors are easy to clean, hold up exceptionally well and have a mid-century modern feel to them. Metal Illusion flooring is superior to a stained floor as any inconsistencies in the substrate are hidden by the primer. Metal Illusion floors are extremely durable and can be top coated with Renew, which is a sacrificial acrylic coating or with an industrial grade urethane to meet requirements for even the harshest environments. Metal Illusion flooring is an excellent value. It has the eye popping wow factor with a price that rivals a low end tile installation. Metal Illusion flooring is a must for your next flooring project. There is a training program for the Metal Illusion System if you have a desire to do. iCOAT also carries a pigmented Epoxy Flooring Products as well for commercial and residential projects. It’s superior quality, low cost, and easy to use. We stock 8 colors, but can special order just about any color.